Episode 3 of The Dash Podcast. 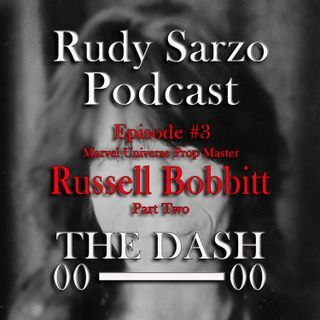 Part 2 of my candid conversation with Marvel Universe Prop Master Russell Bobbitt as he shares how some of the most iconic props in movie history are created, maintained and safely stored and many other movie secrets. This is a must listen for Marvel fans and all movie goers alike. I Hope you enjoy it and I look forward to your thoughts.